You love the feel of an urban space, but want to include natural fibers to soften the feel of your decor. Or, your dining room furniture has bold lines, but you absolutely love the floral wallpaper in your new home. No matter your style, a fun and easy way to decorate — and showcase your personality — is through using a blend of styles, colors and patterns in a space. 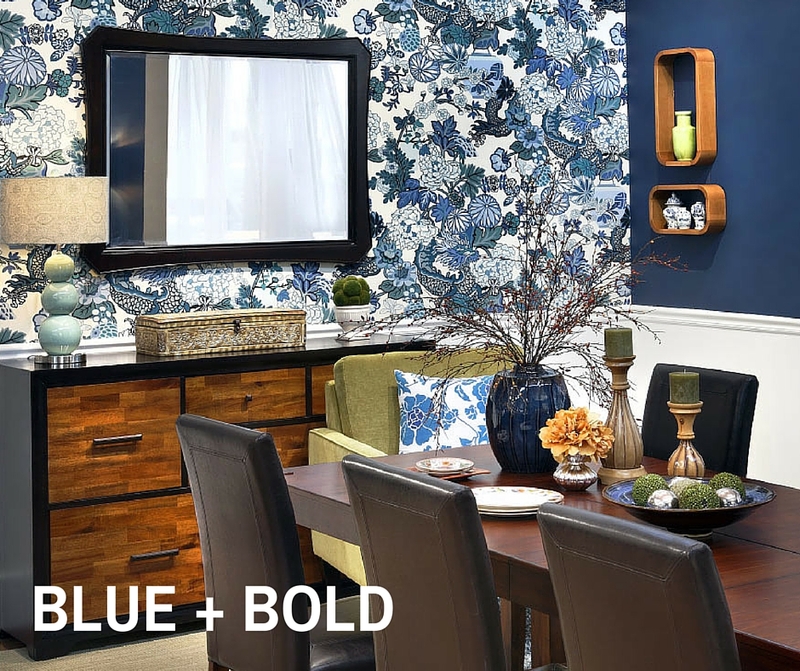 “Mixing and matching different styles makes for interesting rooms,” says Barbara Chandler, Visual Merchandising Manager, at Furniture Row. 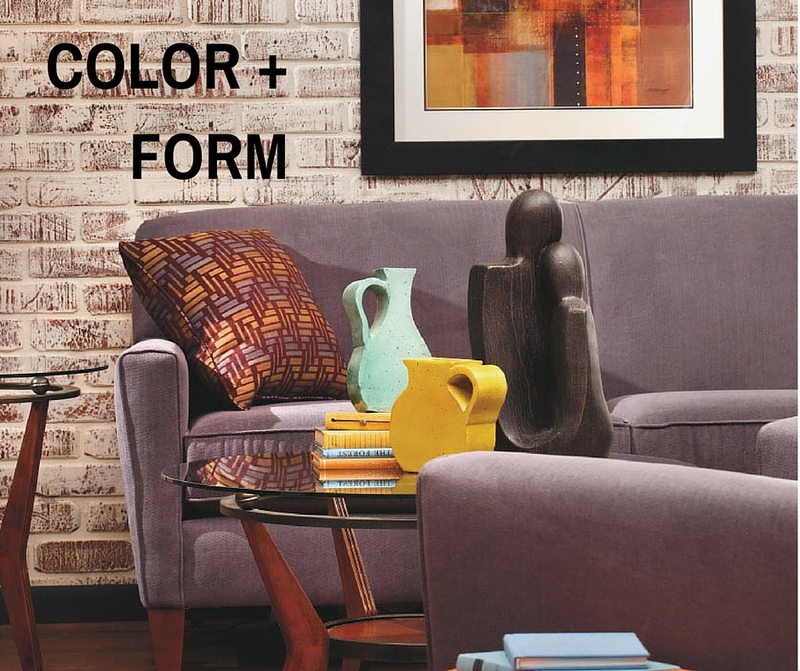 Colors and Form: Mixing bold colors with strong lines in your space provides a modern and sleek look. The mix of circles, squares and angular lines gives dimension to this room. 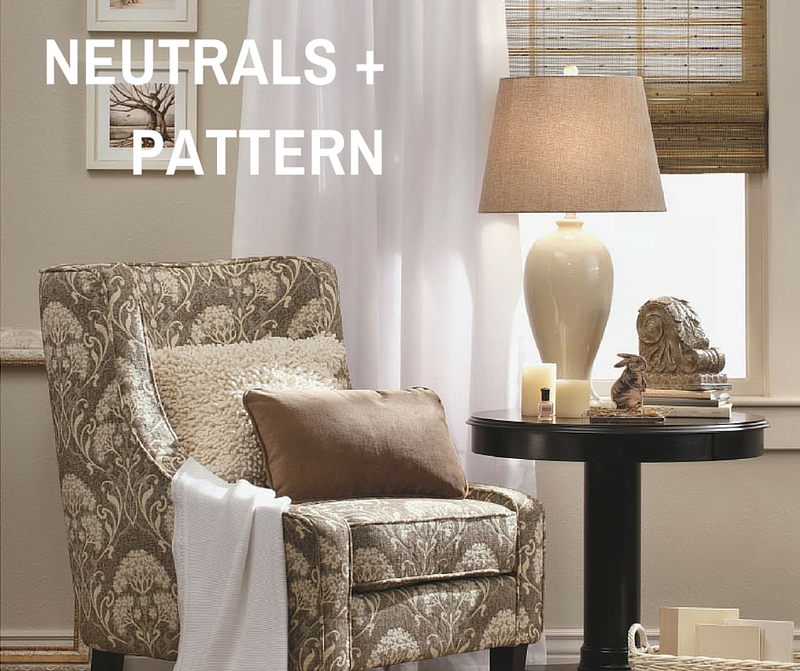 Neutrals and Patterns: A neutral and soothing palette provides the perfect backdrop for a pop of pattern in any room. The textural patterns in this chair, along with the woven shades, add interest to the space. 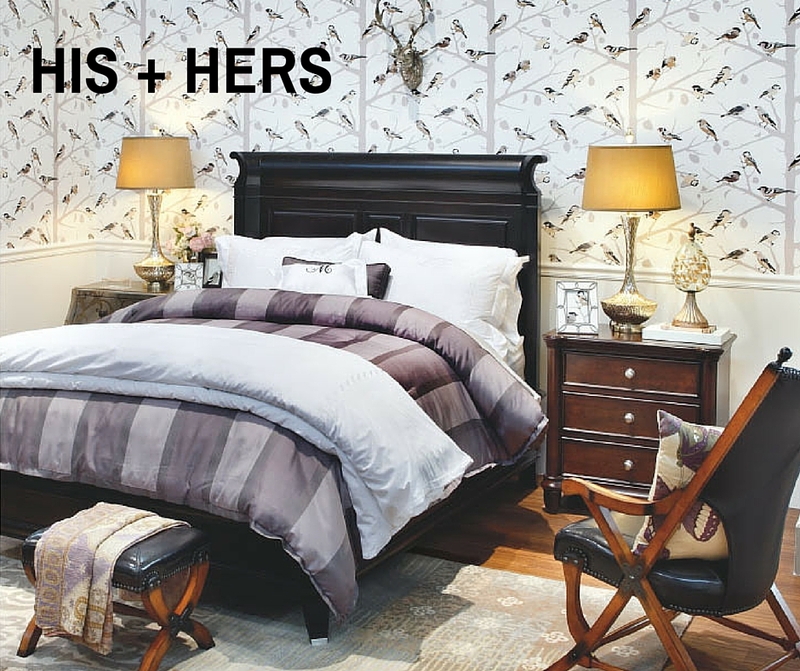 His and Hers: Balancing feminine with masculine touches can create the ideal “his and hers” bedroom space. The sassy lamps and patchwork-pattern rug complement the more masculine leather chair and bench, according to Chandler. The crisp white bedding with touches of purple and lavender finish the look. 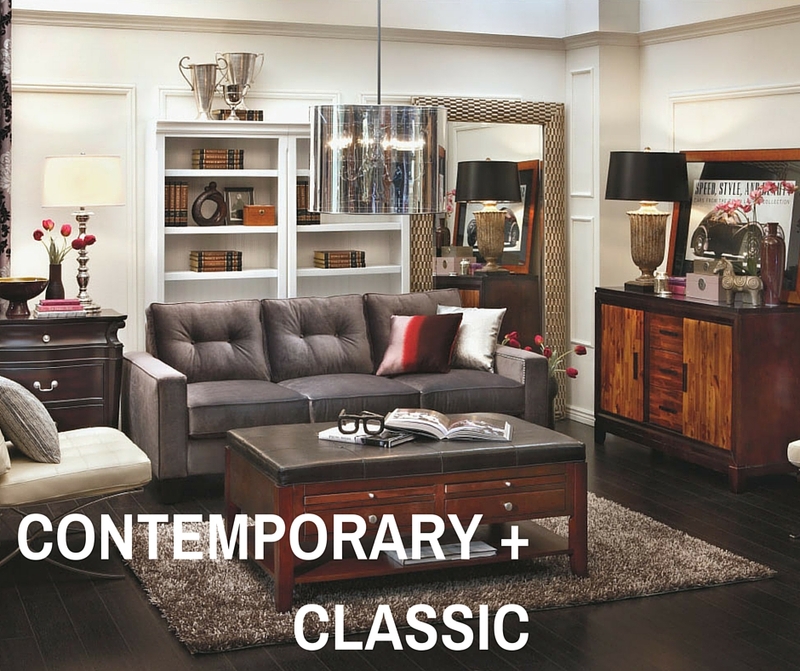 Classic and Contemporary: Combine classic and current decor elements to create this chic living space. Traditional touches such as wall frame molding, damask curtains and urn-style table lamps pair nicely with the contemporary look of the sofa, chair and hanging lamp. Metallic finishes and rich wood tones unite to give this room a timeless, sophisticated look. 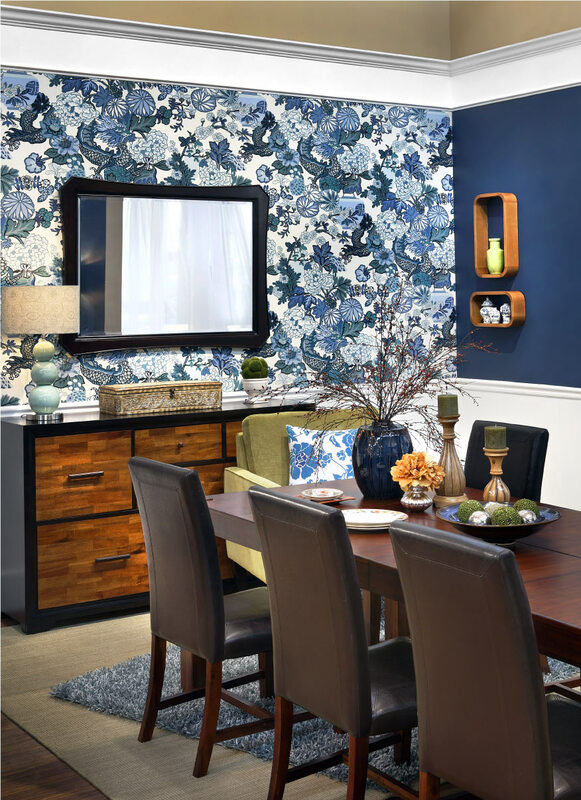 Blue and Bold: Create a focal point in your dining room with bold wallpaper or by wall papering just one wall. The white chair rail complements other bold decor elements in the room: the blue vase on the table, the bright green apple chair and the large-scale dining room table and chairs. 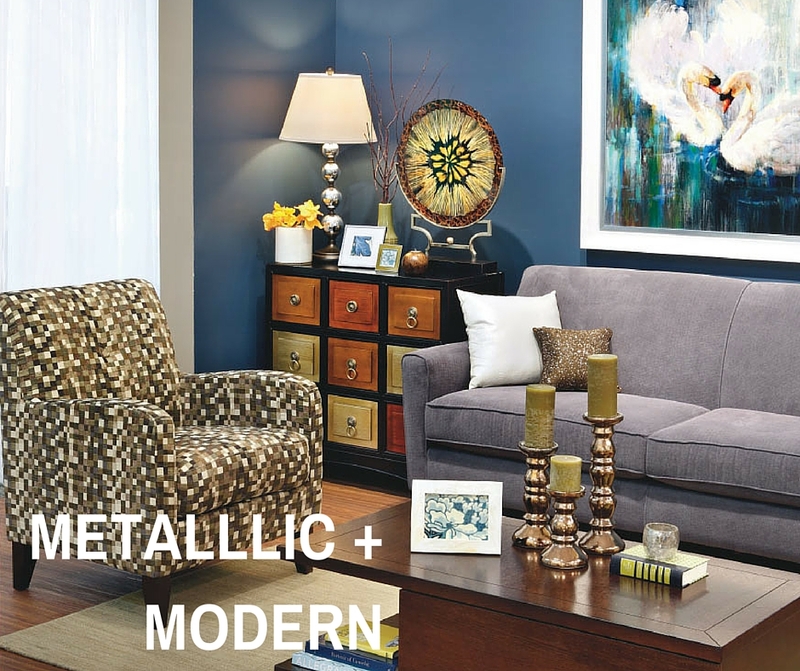 Metallic and Modern: By mixing metallic accessories with contemporary colors and furniture pieces, you can create a unique and modern look for your home. The tone-on-tone of this blue wall and gray sofa, along with touches of green accents in the room, offer a contrast to the metallic glamour of the chest, side lamp and candlesticks. 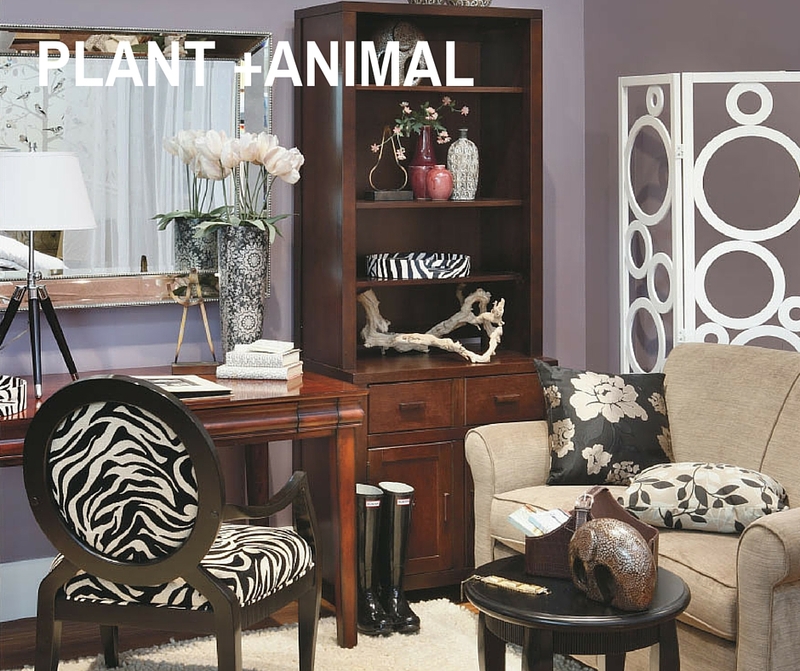 Plant and Animal Prints: Go wild by mixing your favorite botanical and animal prints. The black-and-white zebra print chair makes a statement in this lavender room, and the neutral loveseat provides a solid base enhanced by beautiful floral metallic print pillows.